We are thrilled to announce that we have been selected to take part in Brewdog Collabfest for the second year in a row, following on from the success of last year's Iced Tea Dead People peach iced tea brew! Full details of the beer we've made with our friends at Brewdog Sheffield this year are still under wraps (although there's a cheeky clue in the photo! ), but get yourself down to any Brewdog bar nationwide between October 20th-22nd to try it! We'll be hosting a Meet the Team session at the Sheffield bar from 8pm on Friday 20th, so hope to see plenty of you down there. 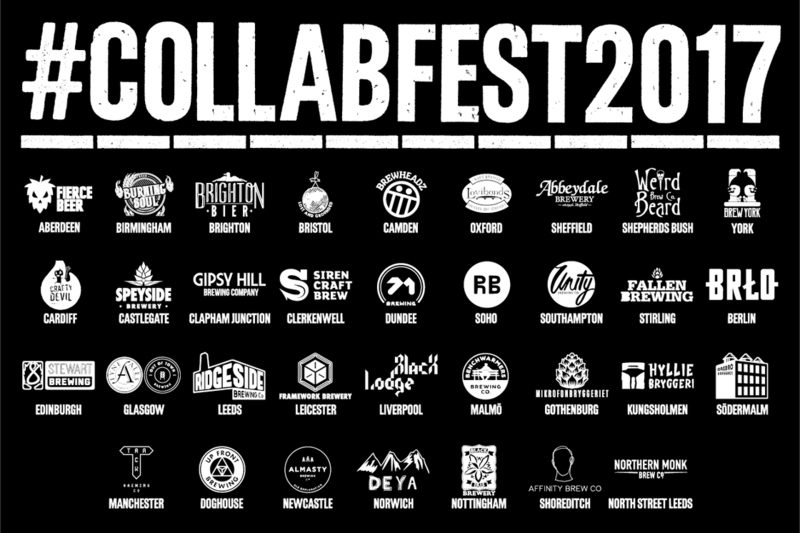 We're in some absolutely epic company this year as you can see from the image above - for more information, check out this blog from Brewdog HQ.